Ausmon Resources is an Australian exploration company which aims to grow by acquiring interests in prospective precious and base metals, energy related resources and other minerals tenements, exploring, evaluating, developing and proving mineral resources and, in time, mining the resources. With a focus on gold, silver, copper and other base metals Ausmon Resources operates the 100% owned exploration licences EL 6413, 7564 and 8424 (Pooraka project). 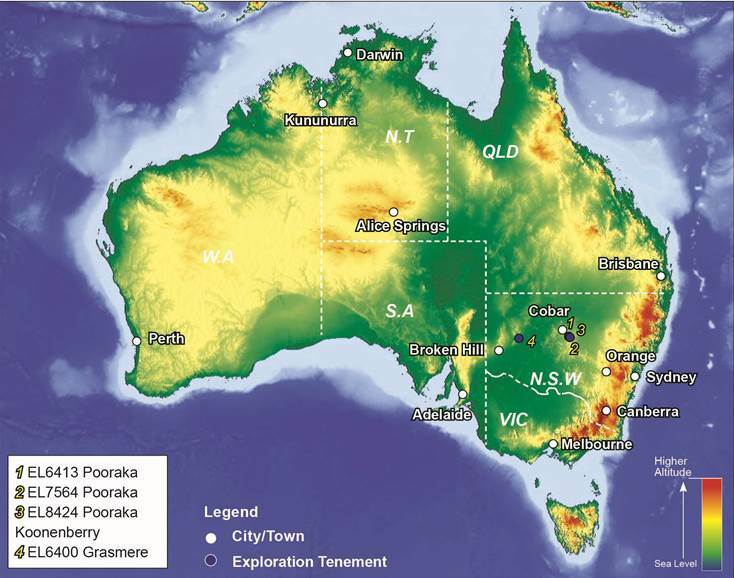 Those licences are within the Lachlan Fold Belt in NSW Australia which hosts a number of major mineral deposits. The Company is also exploring for copper in its 100% owned exploration licences EL 6400 covering a total area of 51 sq km in the highly prospective and under explored Koonenberry belt. The Company is continually seeking new projects worldwide that can spur growth in the near term. Ausmon Resources is an Australian exploration company which aims to grow by acquiring interests in prospective precious and base metals, energy related resources and other minerals tenements.